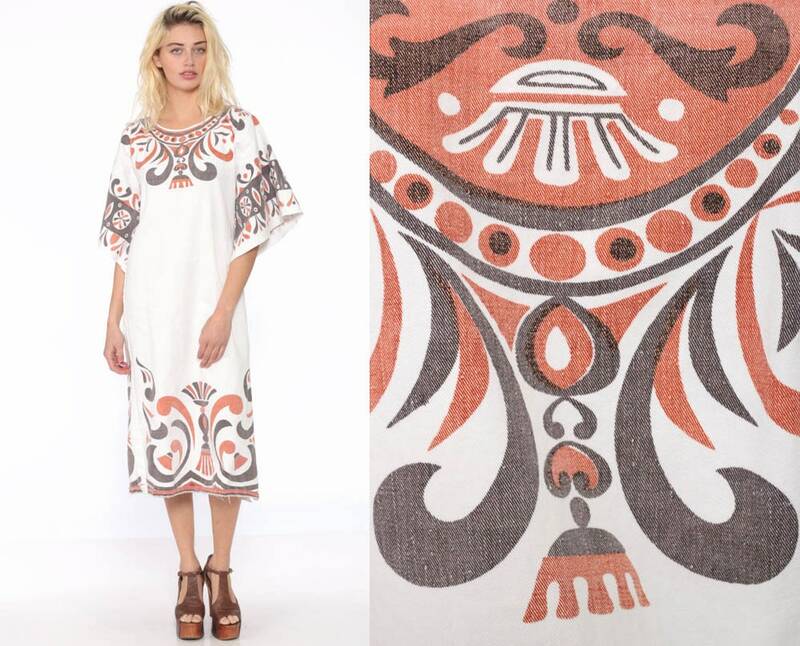 Vintage 70s dress in white cotton with a tribal print. 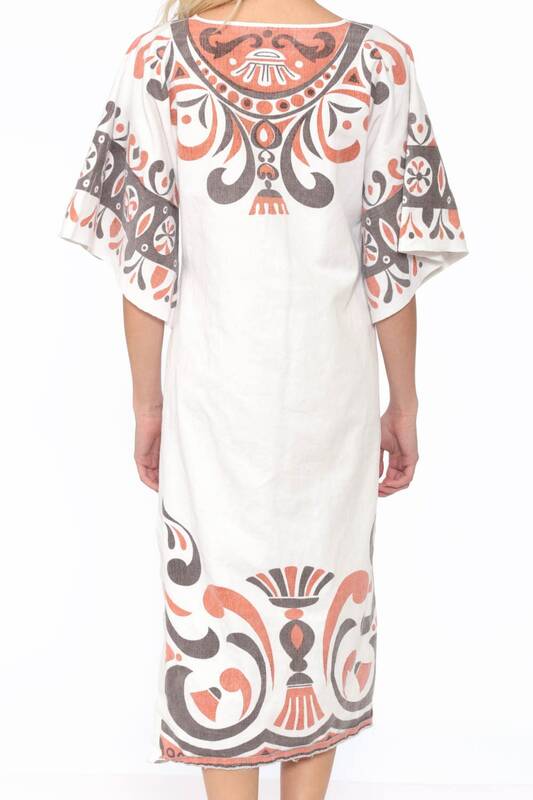 Caftan fit, bell sleeves, midi length. Condition: Very good vintage with light general wear. Has a couple faint spots on the front and back of the skirt that may come out with cleaning.